Enjoy delicious wings, chicken empanadas, lobster, fish, shrimp and much more. Check in often for our daily specials. 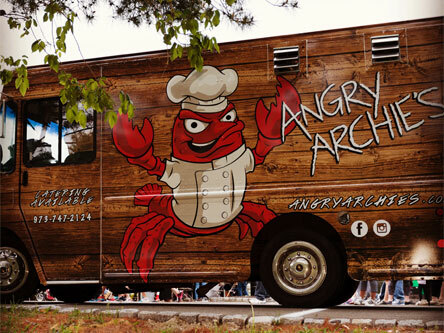 Angry Archie’s starting rolling in July 2015 after what started from a casual conversation between two cousins about Chris’s delicious crab cakes. 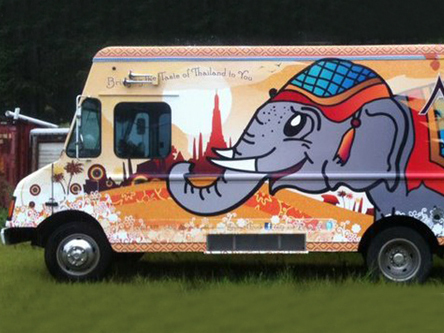 We are the original and AUTHENTIC Thai food truck and now a restaurant serving North Jersey with food exactly the way you get it in Thailand! 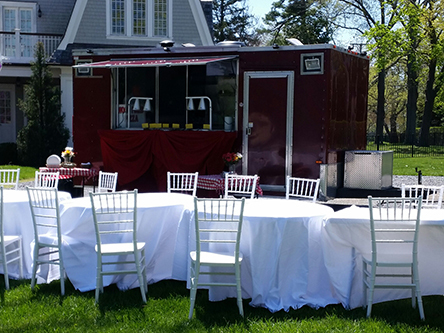 We own Rent-A-Chef, Inc. (catering business) and have been in business for 16 plus years in beautiful downtown Haddonfield, NJ. 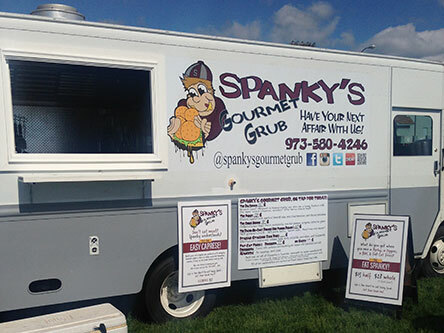 We cater a lot of corporate events, weddings, BBQ’s etc. 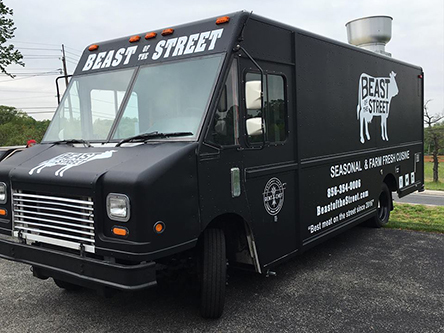 In 2016 we decided to add a food truck in to the mix. Both businesses are owned by husband and wife team Mark and Ridgway Rooks. 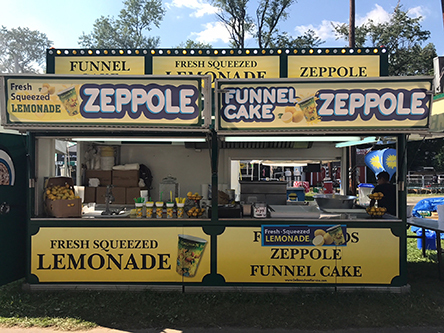 Boardwalk Freddy is best know for deep fried zeppole, fried oreos and a lemonade to die for. We also offer many more fried food items. Bro, we love burritos. We try to eat them for breakfast, lunch, and dinner. Check us out. Oh and check our lobster roll out, too. A burst of exquisitely smoked, slow cooked BBQ in every bite. 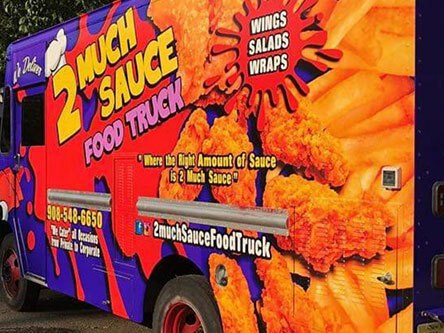 We travel around the country feeding crowds of hungry fans. For us, BBQ is a passion! So Big! So Good! 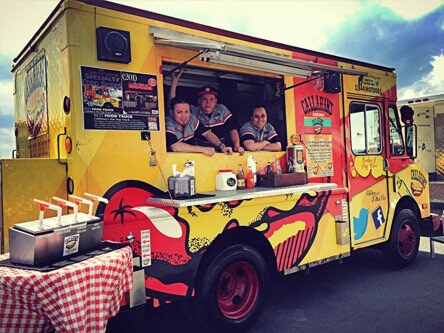 Callahan’s is an Award-Winning Food Truck and Restaurant serving that Deep Fried and Famous Hot Dog since 1950! 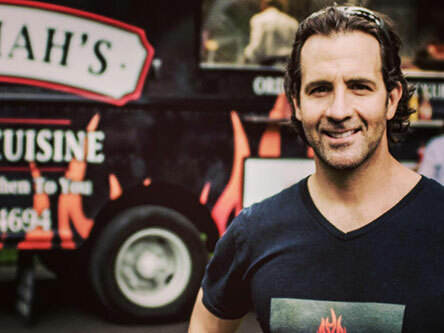 Carmelo’s Brick Oven Pizza is a Mobile Wood Fired Pizza Oven Caterer going into it’s 9th year in Pizza. 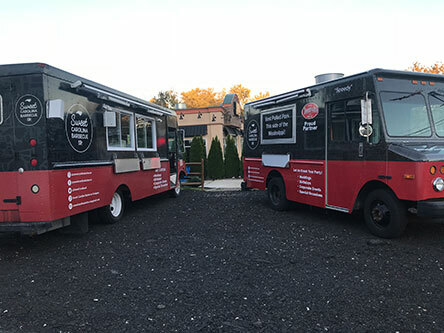 We can set up a Pizzeria anywhere in an hour to make your event special and unique! 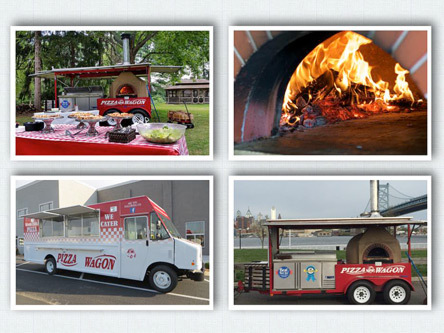 Experience the unique flavor, taste & fun of a wood-fired, brick oven, baked pizza right at your event! From family or neighborhood get-togethers to bridal showers, bridal party events and more, enjoy hand-tossed, fresh, baked before-your-eyes pizzas passionately prepared by Chef Peter Seminara. Chef Dave called upon memories of the tastes, aromas and even sounds of his childhood to conceptualize and create our menu. Preparation is extremely important, nothing is compromised in the creation of our food. We are passionate about pierogi and kielbasa and we will never sacrifice quality for price. Everything has to be just right to bring traditional Polish food to your customers, and we hope you’ll enjoy eating our food as much as we enjoy bringing it to you. 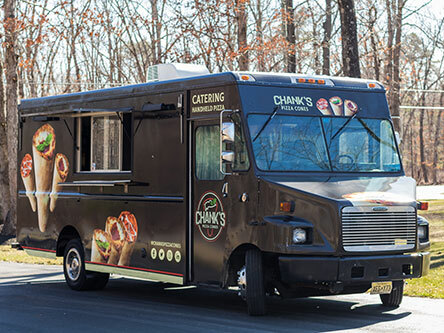 Chank’s was founded in 2019 with one main goal: Portability. With a shift in consumer demand to faster, more convenient food options, Chank’s provides a way to enjoy pizza on-the-go, without the mess! Our dough is handcrafted and filled with the freshest ingredients to ensure a delicious, authentic pizza taste. We strive to offer value not only with our product, but the relationships we build along the way. We are single-handedly making pizza portable! 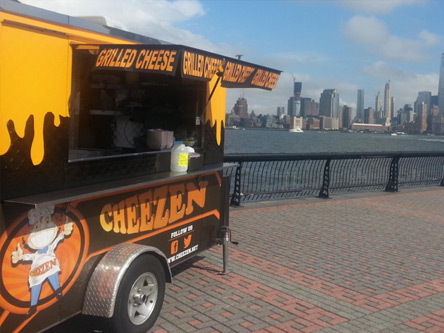 The best grilled cheese sandwiches available in Red Bank NJ. The grilled cheese is the perfect nostalgic snack, bringing back fond memories of playgrounds, picnics, and cooties. 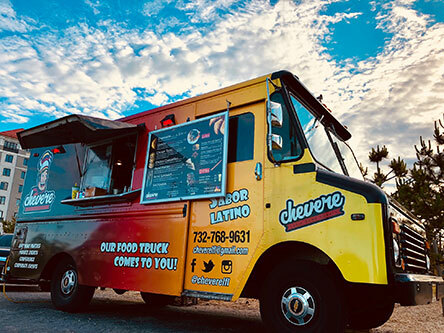 Chevere Latin Food Lovers is a melting pot of Latin flavors. 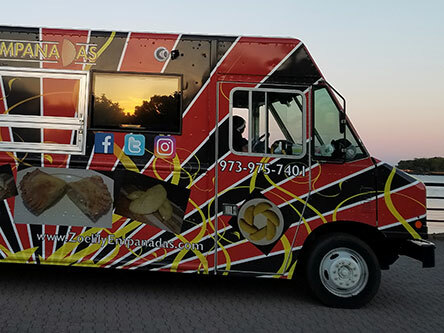 From our fried to perfection delicious Empanadas to the best option of Tacos, Quesadillas, Roasted Pork (Pernil) and overall Mexican and Latin American Cuisine! 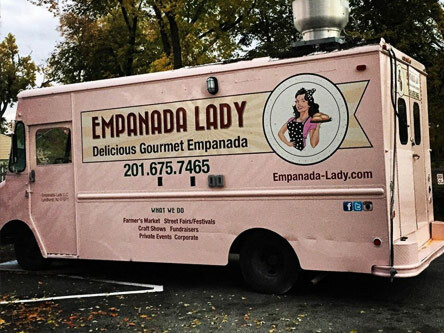 Empanada / Mexican Food Truck Located in New Jersey! 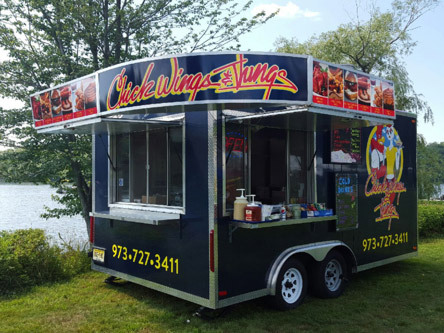 Chick Wings and Things is a family owned food truck that specializes in chicken wings and sliders that are coated with our homemade, original sauces. 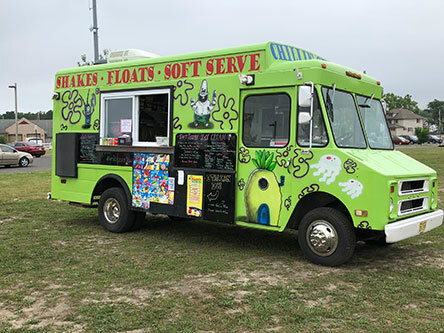 Specializing in soft serve ice cream, italian ice, milkshakes, floats, sundaes, novelties. Our pizzas are made fresh to order, using only the top quality ingredients and cooked to perfection in our wood fired brick oven. We are available for all types of events. Cuban Sandwiches with a twist and Caribbean food. Our star! “The Cubano” but the whole line up is full of flavor. 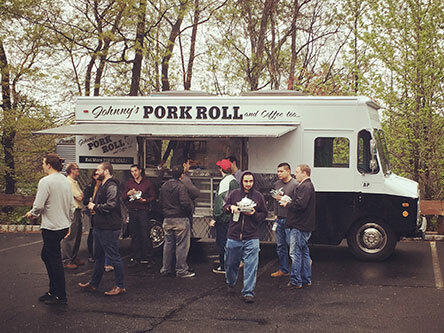 We cater parties, weddings and special occasions all over New Jersey. 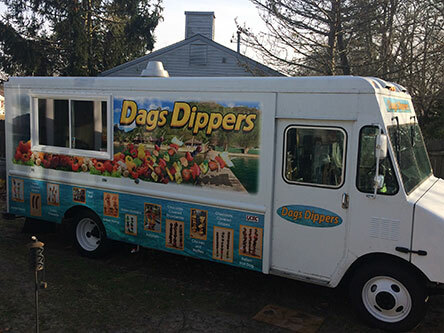 We specialize in fresh fruit and vegetables on skewers with a wide variety of unique dips and toppings. 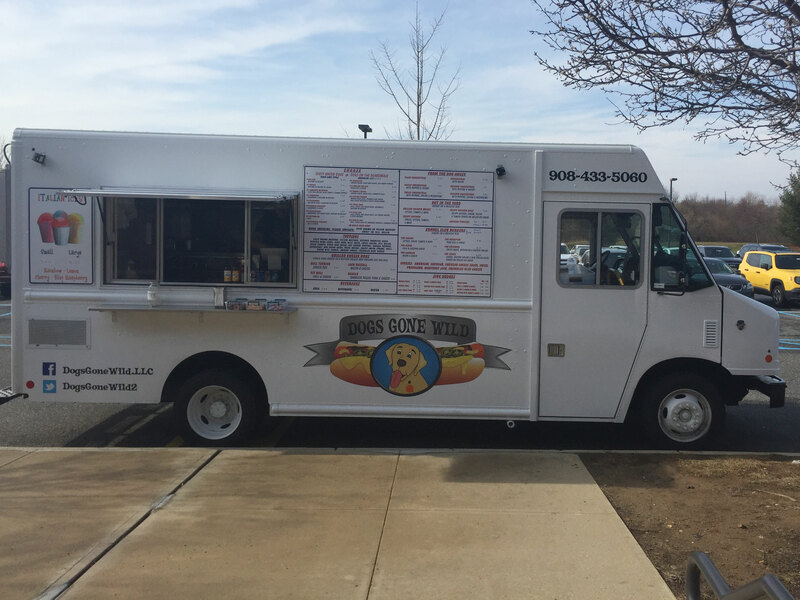 But not only do we have fruit and vegetable on skewers we have various items ranging from Italian hotdog skewers to chicken and waffles skewers. Exotic Meat Emporium based out of Hoboken. We strive to bring value without sacrificing quality so that everyone can sample these delights. Dogs Gone Wild specialty toppings are homemade. 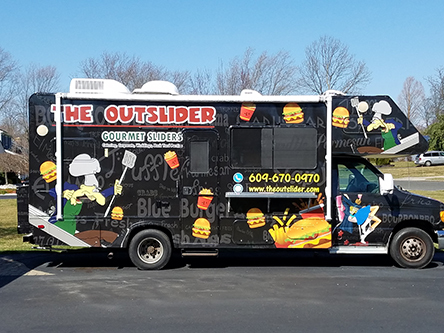 Our unique offerings include Corned Beef Ruben hot dog, Buffalo Blue Cheese w/crispy onion straws hot dog, and Mexican taco style hot dog. 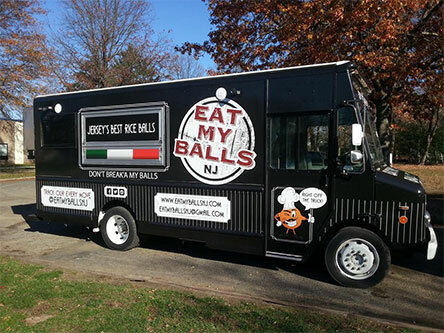 The home of “Jersey’s #1 Riceball,” Eat My Balls NJ specializes in handmade Sicilian Arancini with authentic recipes passed down from generation to generation. 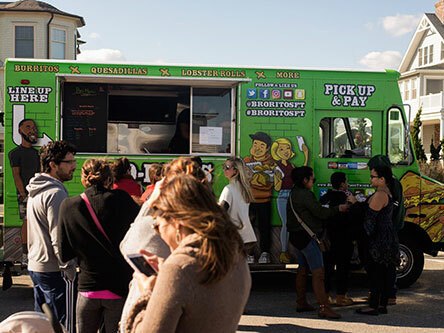 With a gangster-style motif, a no-nonsense attitude and a name you won’t forget, Eat My Balls Food Truck serves up a variety of savory Arancini flavors that are sure to please any palette and have you coming back for more! Available for all events and private functions. 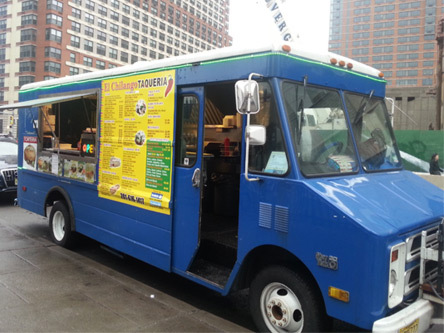 Just great authentic Mexican meal on wheels—fast, fresh, and hot! Just look for our blue truck. 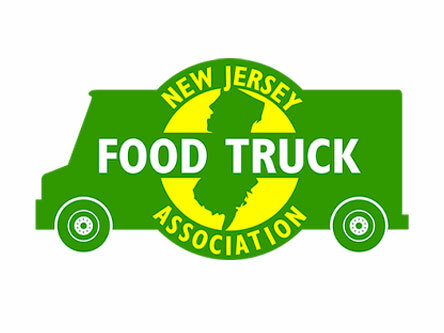 We live and serve locally in Jersey City. 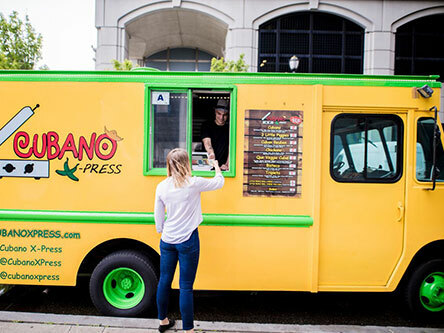 Don’t forget—we cater parties, too! Weddings and special occasions throughout New Jersey! 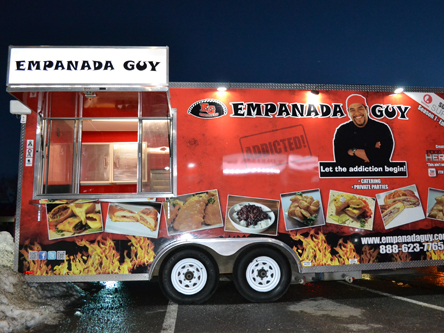 Empanada Guy is one of the fastest growing Gourmet Food Trucks in NJ. We not only specialize in empanadas but other Spanish dishes. Best in Gourmet Empanadas made in small batches by a local Artisan. 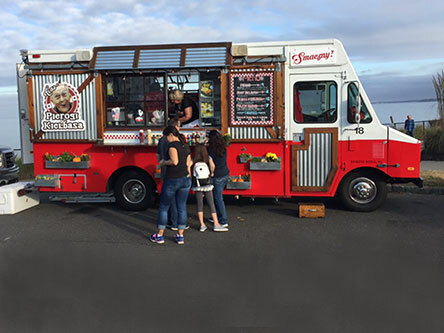 Empanada Lady has become a household name in the Farmers Market world. 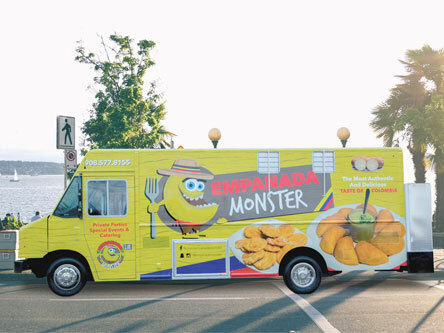 The Empanada Monster serves contemporary and traditional Colombian-inspired street food. The fresh cuisine includes Monster Colombian empanadas, mozzarepas, tostones, maduros and fresh baked Colombian breads. We put the fun and yum into vegan street food. Our entire menu is homemade plant based vegan and features delicious, nutritious, creative plates. 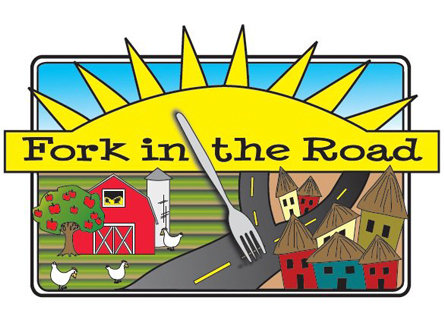 Scott travels throughout New Jersey serving delicious food made with the freshest ingredients. 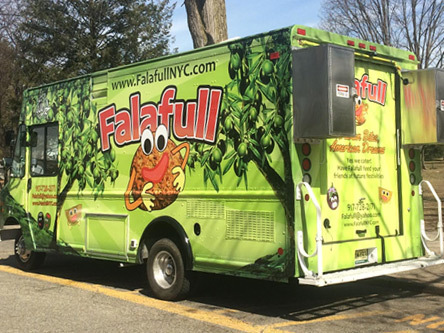 Looking for the Best Halal Food and Sandwiches? Gigi Halal Food is the right place for you! We have the most clean and fresh food. 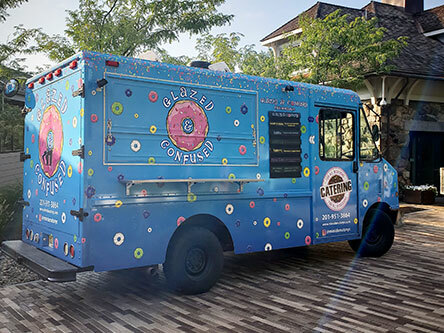 Specializing in fresh, made-to-order mini donuts. All our donuts are made on sight right in front of the customers eyes with our unique donut robot. Each donut is then glazed and topped to make our famous signature creations! Fan favorites are “The Hangover” with maple syrup glaze, bacon chunks and powdered sugar or our “S’Mores” with marshmallow glaze, graham cracker dust and chocolate sauce. 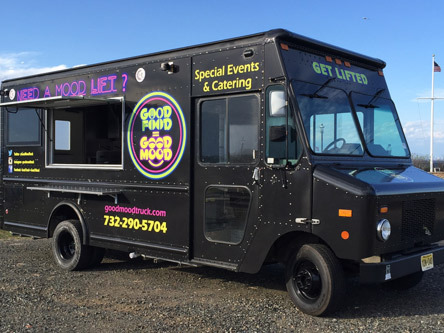 Serving Good Mood Food across the Great Garden State and beyond. 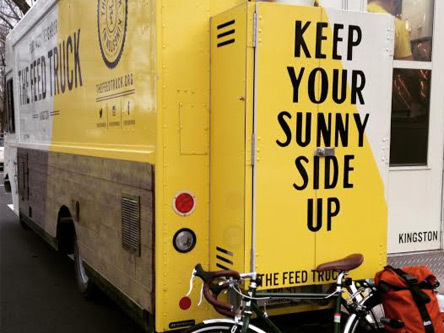 Let the Good Mood Truck bring the Good Mood Food to you! 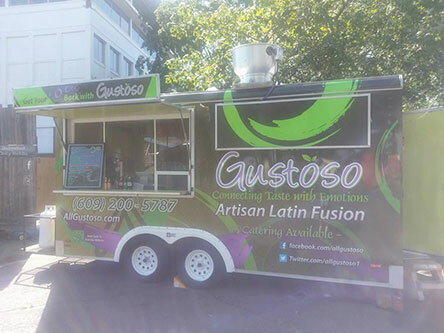 Gustoso food are base on a latin fusion cuisine but not limited implementing many fresh ingredients to create a lifetime experience with all your senses We take pride in what we do. We like to use only but the best ingredients and authentic spices in our cuisine. We also have a variety of gluten and vegetarian options, to meet our customer needs.We are very costumer focus. 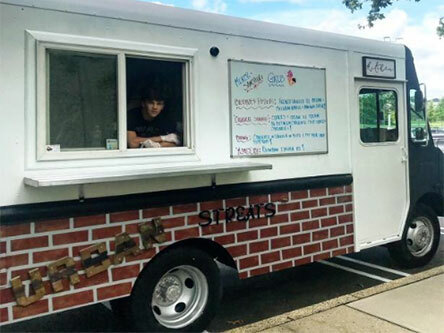 The most unique ice cream truck in the country. 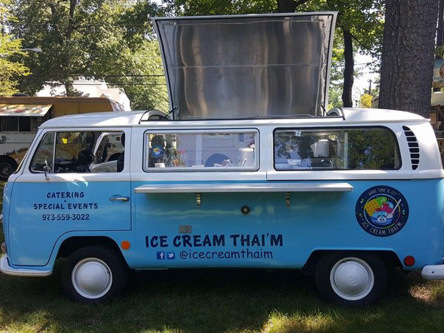 We make Thai style homemade ice cream to order right in front of your eyes on frozen plates 37 degrees below zero out of a 1969 VW bus. Our unique Sweet and Savory Crêpes are filled with a wide variety of our own house-made, micro-batch Jams, Curds and Pickles. 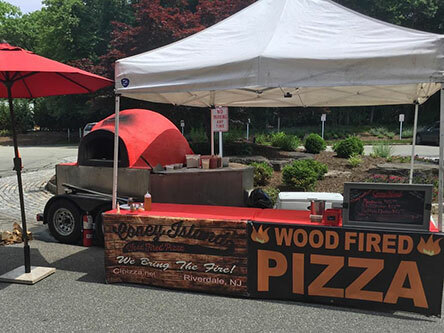 JB WoodFired is a family owned and operated mobile wood fired pizza truck, that specializes in authentic wood fired pizza. 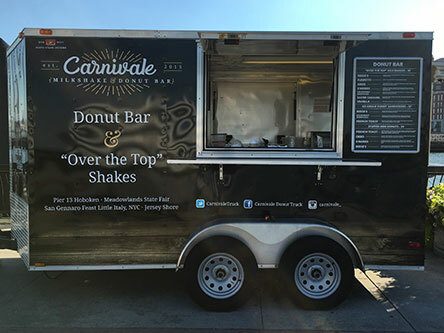 Our state of the art trailer is fully enclosed and is able to serve small parties to large corporate in all types of weather conditions all year round. We serve in New Jersey and New York City. 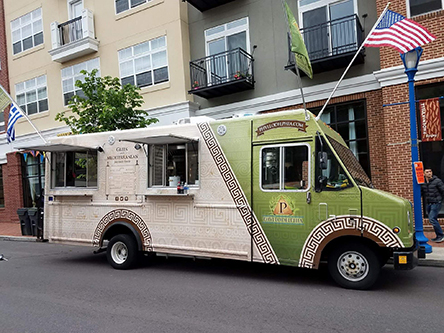 We are a multi-themed operation that can expertly change into one of three themes: Loco Gringo’s Street Taco Express, The Slider King, and The Cheesesteak Guy. Each theme has a varied and creative menu. 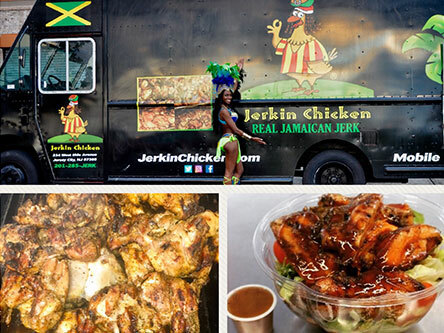 Serving up authentic “Real Jamaican Jerk” the Jerkin Chicken delivers Jamaica to you with tropical vibes. Enjoy jerk chicken, jerk pork, jerk shrimp in a meal with rice & peas, salad and plantain, or you can have it in a wrap or salad. “Give your tastebuds a boost,” you will be craving for more. 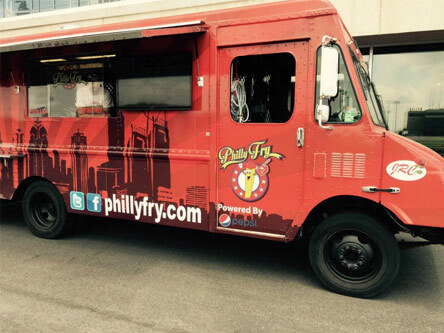 We serve items for every appetite including fried chicken sandwiches, tacos, and cheesesteaks. Everything is made from scratch and all recipes are created in-house. 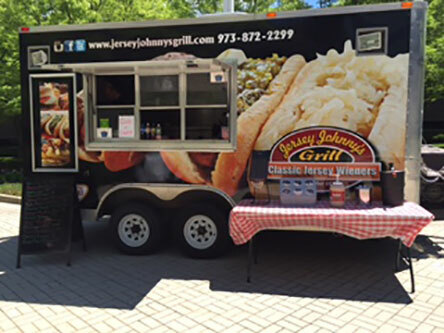 Jersey Johnny’s is best known for their deep fried hot dogs and signature chili sauce. But , we offer hand pressed burgers and much more. Japanese-inspired Rice Balls: Hot sticky rice stuffed with cooked fillings, wrapped with or without seaweed. 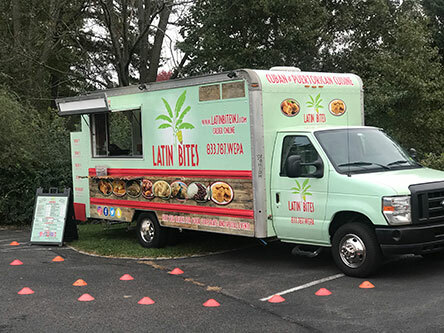 We have dug into the roots of Puerto Rican and Cuban cuisine to give our customers an exceptional experience at Latin Bites. With 1 restaurant and 3 food trucks (one more coming soon!) we aspire to give the best quality, authentic Puerto Rican & Cuban picaderas (bites) on the East Coast. 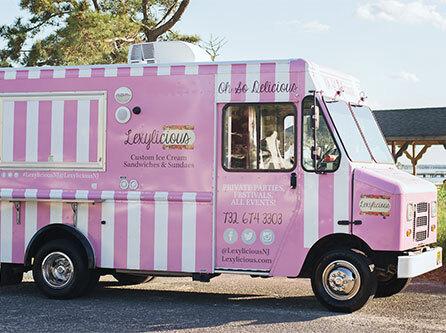 Lexylicious is not your average ice cream truck! We specialize in custom ice cream sandwiches. Choose your cookie flavor, choose your ice cream flavor, & your ice cream sandwich will be freshly scooped to order. 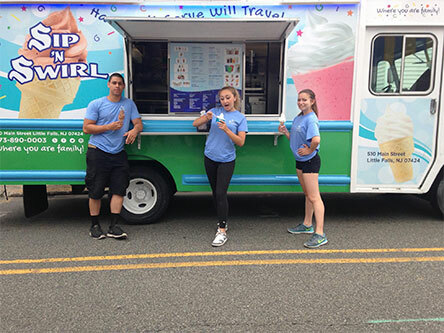 We service the whole state of NJ & surrounding areas with two trucks and an adorable little ice cream cart. Hot Sweet Roasted Corn on the cob, dripping with butter (or not) and a nice selection of salts, peppers and other toppings. Ultimate Yum! 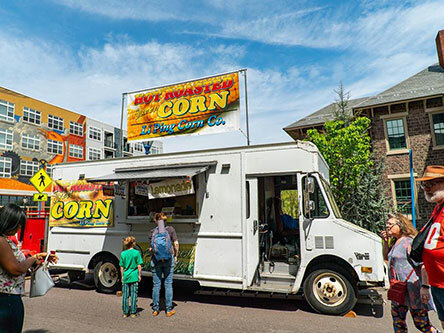 Make your own Mexican Street Corn with Mayo, Parmesan Cheese and Chili Pepper. So Good! Traditional Salt and Pepper, or nothing at all, our corn tastes amazing. Philadelphia Water Ice is an amazing seasonal treat with Cherry, Lemon, Mango and Tropical Rainbow among many other flavors available. 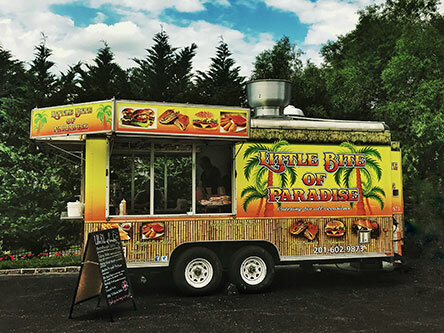 Established in 2014 Little Bite of Paradise is family owned and operated. 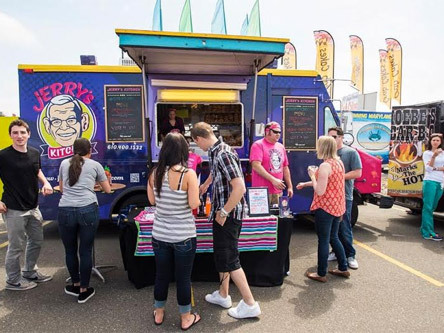 We are a diversified food truck where every bite of our food is truly a Little Bite Of Paradise. 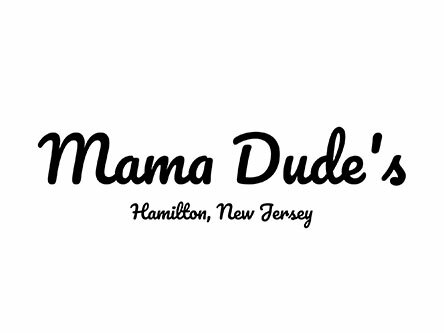 We are known for our AWARD winning sliders, Cheese Steaks, Cuban Sandwiches, and empanadas. Our food is always served with freshest and finest ingredients. We alter our menu to your needs. 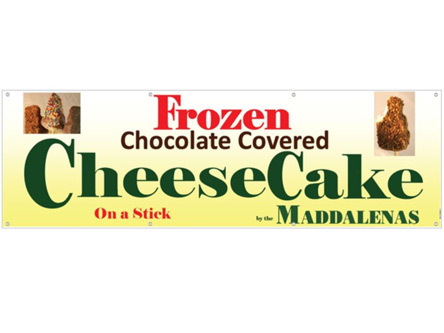 Local Family owned Gourmet Desserts made fun. Baked with the finest quality ingredients. 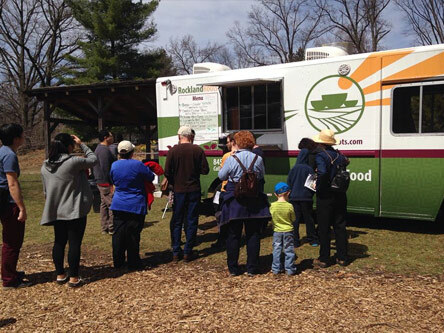 We are a farm to table food truck based out of Hamilton, New Jersey focusing on local ingredients and seasonal menus. 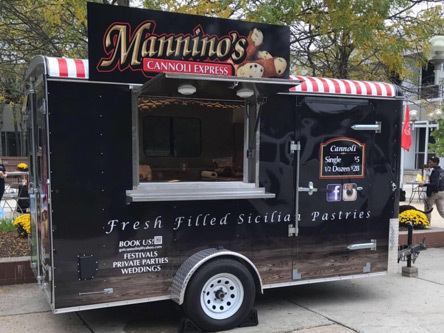 We’re one of the first cannoli trucks in the state. With shells imported from Sicily and the highest quality ingredients, this is one you will not want to miss. Traditional Mexican street food done simply. 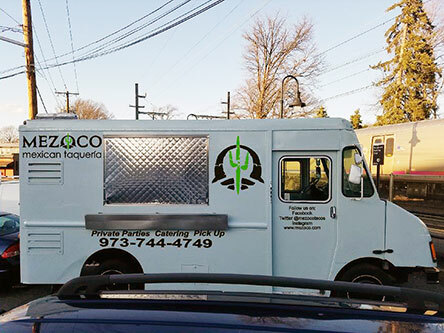 Mezoco believes that tacos should be fun, laid back, and fresh. We want a place where you can bring your friends, grab some delicious food and just relax. Our standard is simple: Make fresh food and make it right. All of our salsas are made in-house. Come taste the difference! 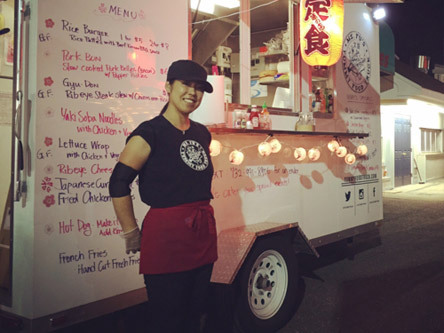 This great Asian Fusion food truck is serving both classic and unique new creations of mixed culture dishes, incorporating Japanese, Korean, Thai, Chinese, and American Food! 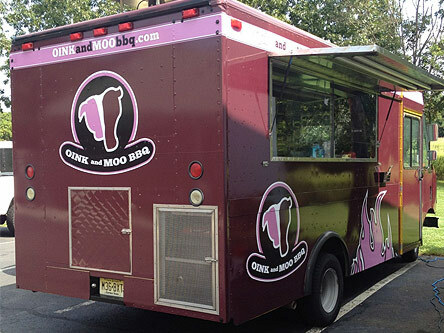 Oink and Moo BBQ started out as a passion for great BBQ. 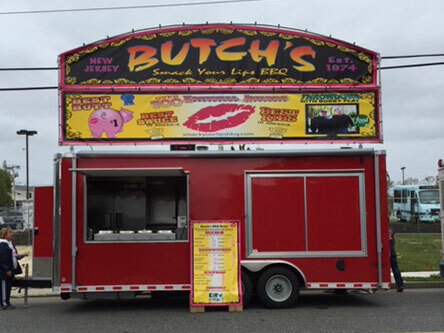 Our goal is to deliver mouth-watering BBQ to New Jersey patrons in a fun, friendly atmosphere. One Big Party’s motto is “BBQ Prepared Fresh”, and this is something we uphold firmly. You can bet that the rack of ribs you are salivating about has been handled with the utmost tender love and care. We believe in doing one thing and doing it really well; French fries. Our extensive menu and willingness to try just about anything ensures the satisfaction of every consumer. Phyllodelphia provides the rich flavors of Greek and Mediterranean food. Our theme surrounds utilizing Phyllo dough, the rich and buttery Greek pastry dough filled with a variety of food items (Spinach & Cheese, Sausage & Cheese, Buffalo Chicken, and more). Pita Bowl has been mastering the Greek fusion authentic delicacies with a modern twist. Who’s up for some Gyro Empanadas? 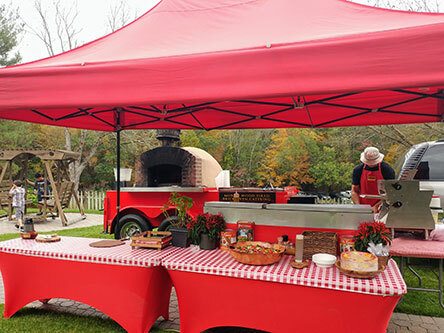 The Pizza Wagons are self-sustained mobile pizzerias featuring a wood fired pizza oven from Italy with the freshest, highest quality ingredients . 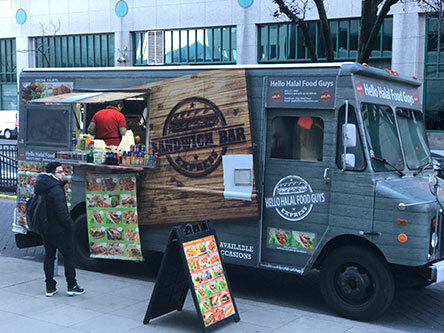 Authentic global street foods. Pierogi Flats is our Festival brand featuring signature Pierogi with a fusion twist. Carib our Caribbean brand includes Ahi Tuna, Conch Fritters, Coconut Curry Chicken, and Roti. but the highest quality meats and cheeses, freshly sliced, piled high on our award winning seeded bread. Cooking with freshly harvested produce bought directly from local farms and vendors from the Hudson Valley and surrounding area. We are dedicated to producing high quality products. We pride ourselves on our commitment to exceed customer service with every customer that visits our store. Value and quality of product and service will always be our Motto, as we strive every day to live up to our customer’s expectations. Started in 2012 after the 9/11 attacks, our company’s goal is to raise awareness of Fire Fighters and Volunteerism. 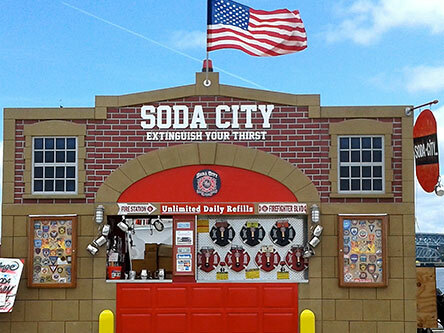 Soda City donates a portion of its proceeds throughout the year back to departments of Fire, Police, and EMS. 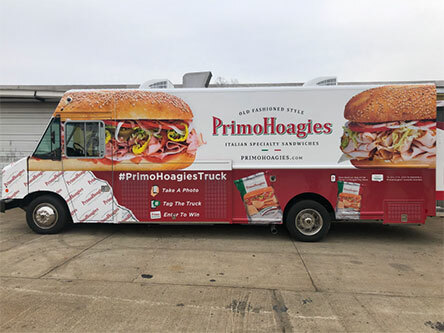 Gourmet food truck based out of North Jersey magically recreating traditional burgers and sandwiches to tickle your taste buds. event. We specialize in Lexington style pulled pork and the menu is entirely homemade, except for the french fries! 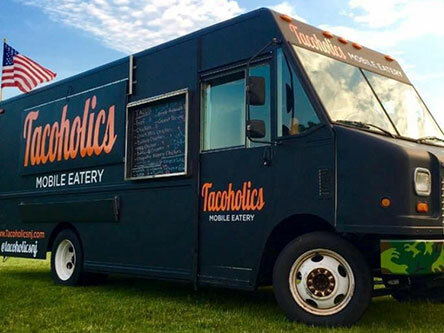 The Tacoholics Mobile Eatery started as a food truck that has been proudly serving the people of New Jersey ever since our grand opening. 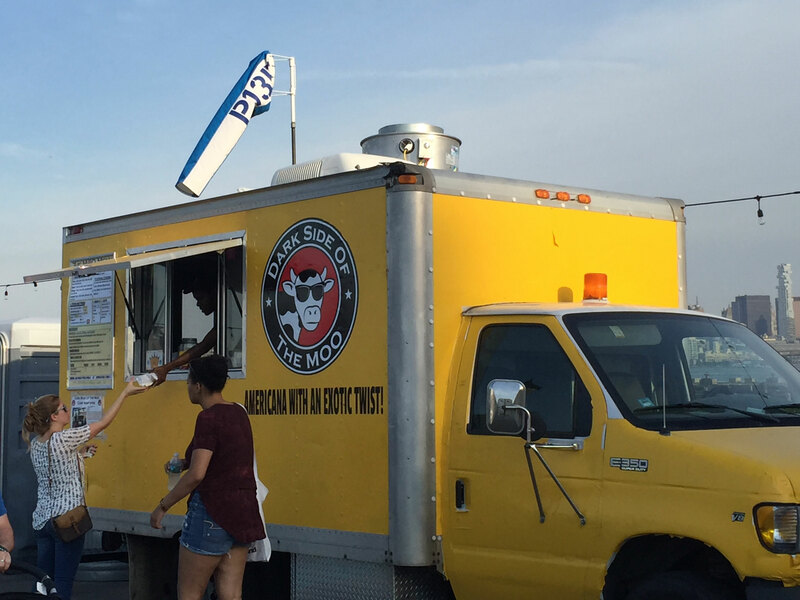 Tacoholics was started with one goal in mind, creating a taco experience that you will never forget. From our Crack BBQ Chicken Taco to our Fried Avocado Taco all complemented with our signature sauces. All of our tacos will leave you always wanting more. Chef David combines his secretly seasoned ground beef with caramelized onions, creamy American cheese, sliced kosher dill pickle and a dash of zesty ketchup all on a Hawaiian sweet roll. 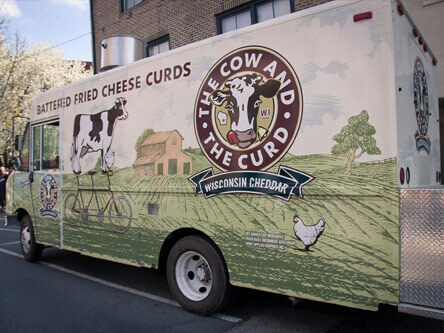 The Cow and the Curd is Philadelphia’s newest roaming sensation. 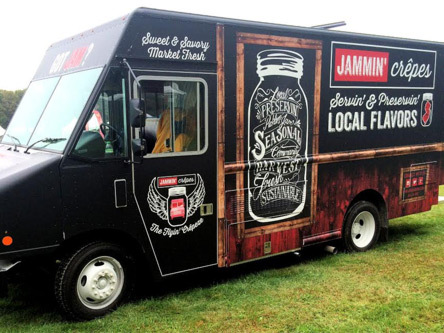 We bring that midwest flavor and Wisconsin culinary staple right to your neighborhood. 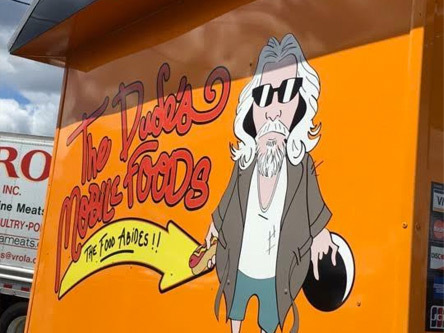 We are a food truck based on the cult-comedy classic “The Big Lebowski”. 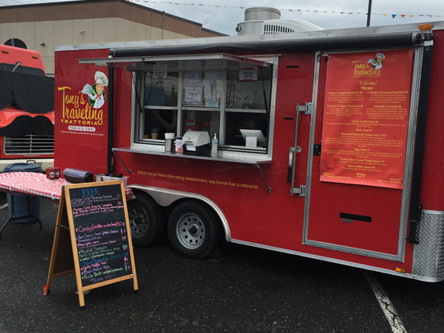 We offer many healthy, flavorful items including sandwiches, tacos, seafood, and various other special requests. 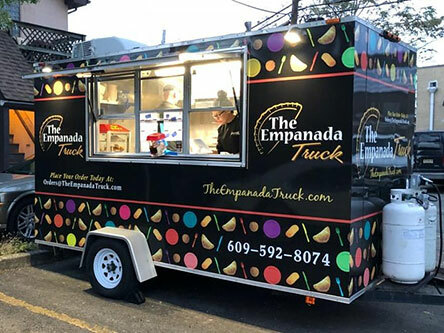 The Empanada Truck serves delicious, Cuban style empanadas and bites such as Mini Corn Sorullos, Mini Cuban Croquettes, Mini Potato Balls, and Mini Alcapurrias. Our jam packed, jumbo sized empanadas are served with our homemade pique sauce for an extra kick. Serving up unique breakfast, brunch and late night eats, made with the best local ingredients we can find. We’re a non-profit org that works to connect our neighbors to their communities. 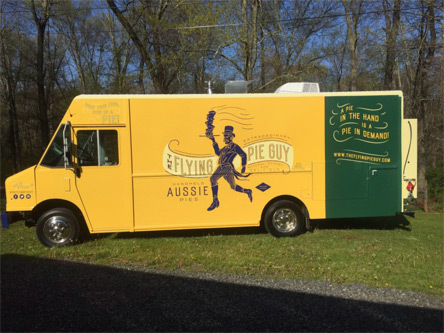 Australian Pies and Sausage Rolls with authentic Aussie flavors from family recipes. 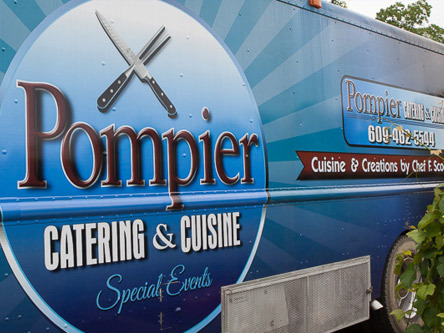 We offer a full Catering Menu, custom designed for your special event. Every corner cafe has a restaurant serving this classic Sicilian street food. 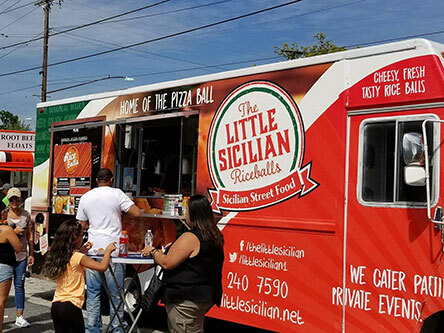 We took the concept of the traditional sicilian riceball and put our own unique spin on things. 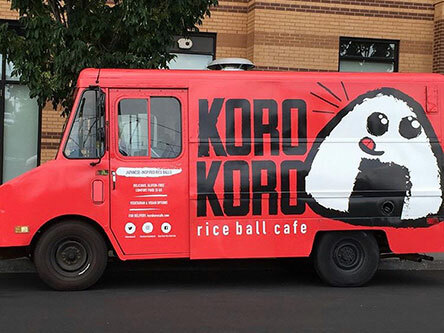 We now make 30+ different versions of the riceball. Sliders are not just burgers! 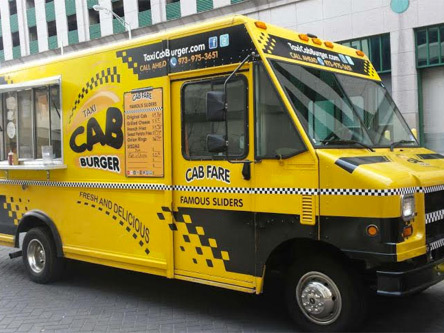 Our menu includes crab cakes, pulled pork, and other gourmet sliders – all made fresh daily! 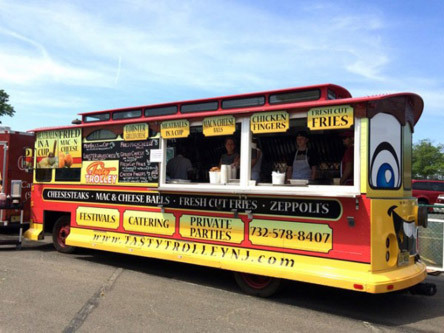 A drivable trolley with a full-service kitchen able to travel all over New Jersey. It is a truly unique visual that your guests are sure to talk about. We believe in giving you the best and we pride ourselves on having fresh ingredients every. We like to think of our food as Italian comfort food. Previous fine dining experience merges with new jaw dropping burgers that was recently nominated by Esquire Magazine to represent NJ for the Most Over-The Top Burger. Custom Menu options are also available. Empanadas the way Mom use to make with the same love but taking the traditional and making it unique. My family has been making Empanadas for 80 plus years and when they made them it was usually for a party. Now we are bringing the party to everyone everyday. We offer three different styles the most common White Flour, a Yellow Corn which is a Colombian style and Korokkes a Japanese Inspired ball With a Zoelily Twist.